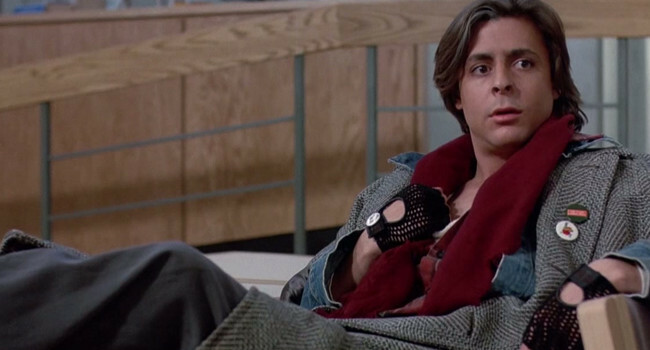 The misunderstood bad boy, John Bender, was grunge before grunge was considered a fashion style. The guy was so cool not only did he cut the sleeves off of his flannel shirt but he wore two jackets. So if you want to attract your own Claire Standish then wear layers and learn to light a match with your teeth. Leather and the color pink, those are the two things that sum up the look of Claire Standish. The popular girl wore plenty of both and while her outfit may have been expensive, these days you can score some similar items for relatively cheap. You don’t even need to wear real diamonds. However, you may be asked to perform the lipstick trick in which case we suggest a high quality brand. It makes it a little classier.